Metal cookie-cutters can take your breakfast to another level. You can use them to cut your bread or as a mould to fry eggs in. 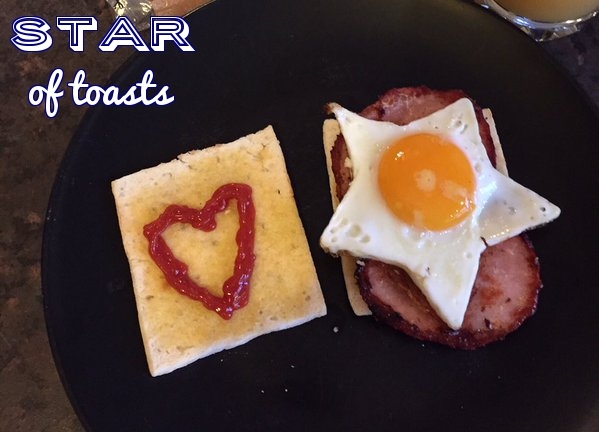 Toasted sandwich thins, bacon, red sauce and top with the star of the show … a star-shaped fried egg!